Book a ferry to the Saronic Islands, or even around the Saronic Islands, with AFerry. AFerry always has cheap prices for Saronic Islands ferries, allowing you to travel relaxed, knowing that you got a great deal. 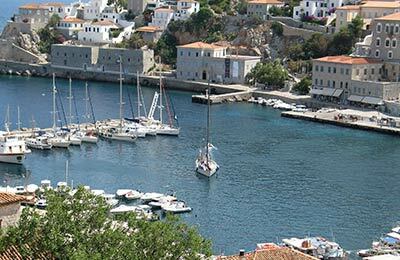 Saronic Islands ferries operate from 5 ferry ports - Aegina, Agistri, Hydra, Poros and Spetses. 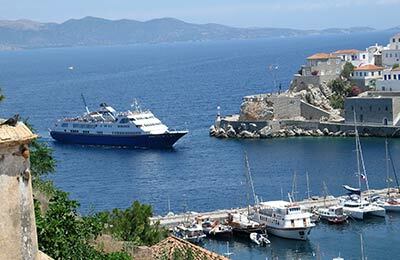 You can book a ferry to the Saronic Islands from Greece using 6 ferry routes - Ermioni to Hydra, Piraeus to Aegina, Piraeus to Agistri, Piraeus to Hydra, Piraeus to Spetses and Porto Heli to Hydra. There are also 3 ferry routes within the Saronic Islands - Aegina to Agistri, Hydra to Spetses and Spetses to Hydra. Ferries to, and in the Saronic Islands are operated by 3 ferry companies - ANES Ferries, Hellenic Seaways and Saronic Ferries. Because there are 3 ferry companies, and 9 ferry routes, comparing prices and times can be very useful to help you get the best price at the best time to suit your plans. Companies like Hellenic Seaways, Saronic Ferries and ANES Ferries offer unbeatable services and you'll feel like you're on holiday, the moment you step on board. Travelling to, or in the Saronic Islands will be easy and hassle free. Start by making your booking today, it's quick and easy.